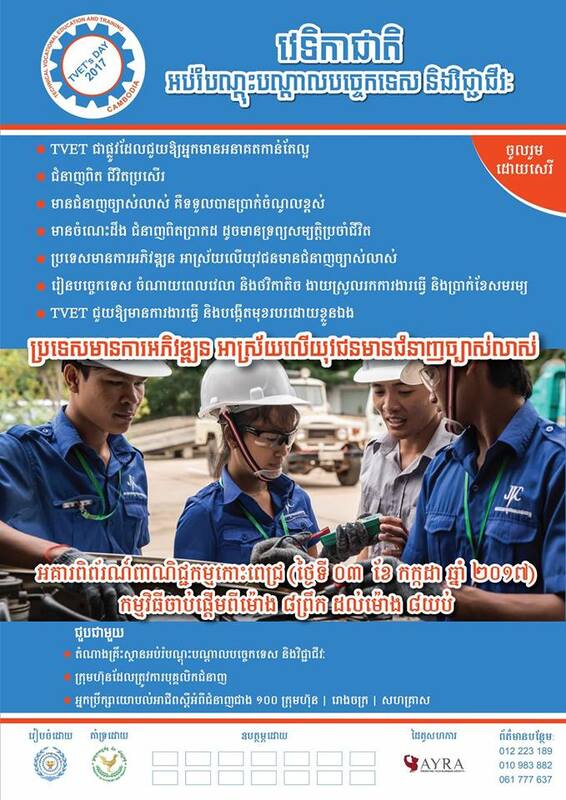 The National Training Board was formally constituted in 1996 in recognition by the Royal Government of Cambodia that a coordinated, long-term development plan was needed for technical vocational education and training (TVET). Of most importance, the legislation forming the NTB ensured that it could take effective action and not simply receive reports. 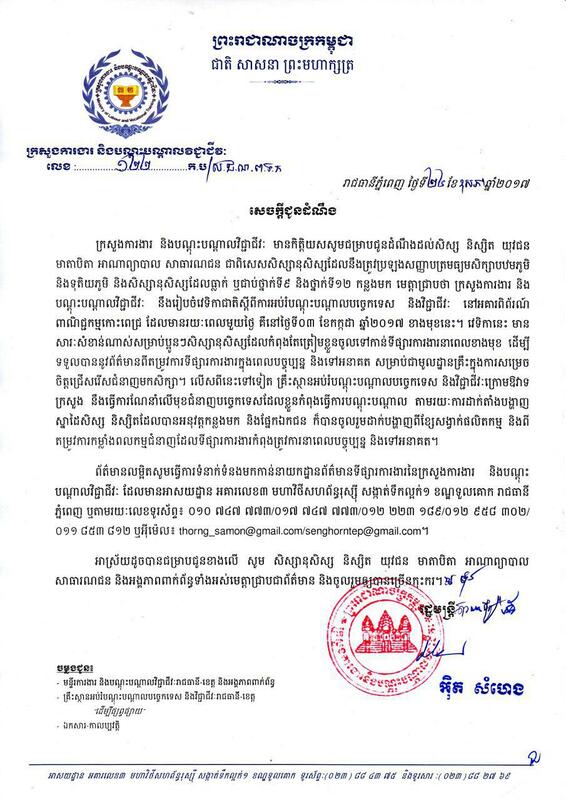 Senior members of each Ministry with training were appointed and the Deputy Prime Minister himself took the leadership role. TVET is the process of mastering the skills, attitudes and knowledge required to gain employment or self employment and then to maintain that employment over a career and a working lifetime. The TVET system allows young people to start in basic jobs such as bricklaying or kitchen helper and then, through going to a TVET institutions part time, to move up the career ladder until they reach senior management in construction or hospitality or leadership jobs in technology and business. National Employment Agency, abbreviated as NEA, is a Special Operating Agency under the jurisdiction of the National Training Board. The Agency was established by sub-decree and aimed at improving the quality and effective delivery of labor market information services by providing job seekers, employees, employers, and skill training providers the opportunities to exchange information with one another. Related Ministries plan their training needs to be implemented for the up coming years. Training need analysis will then be publicly posted to create awareness amongst training providers to supply proper training to cater the demand of respective Ministry. In a recent Human Resource Study in a neighbouring country, the primary concern of more than 80 percent of employers: finding workers with a good work ethic and appropriate social behaviour: reliable, a good attitude, a pleasant appearance, a good personality. The National Employment Agency (NEA) concept was approved by the National Training Board in January of 2008 and planning is at an advanced stage. The global objective of the NEA is to match workers seeking jobs with employers seeking new staff. But it will be much more than this. With 9 planned centers, it will share information across the country and for the first time, give access to the national labor market for everyone.